Africa Day 21st May at Farmleigh, Phoenix Park, Dublin. This year the Sierra Leone Diaspora with the support of the Honorary Consul Joe Manning made a tremendous effort to bring a taste of Sierra Leone both in food and culture to the stall on Africa Day. Delicious jollof rice, spiced chicken and authentic cassava leaf were served up by the hard working smiling women! The food had been cooked in the morning and was fresh and ‘sweet pas all’! Crafts on display included gara cloth, many types of jewellery, T-shirts with SL emblem, flags, baskets and many more items. There was dancing and singing of the national anthem. The enthusiasm and fun at the stall attracted and engaged many passers-by and many good conversations were had. 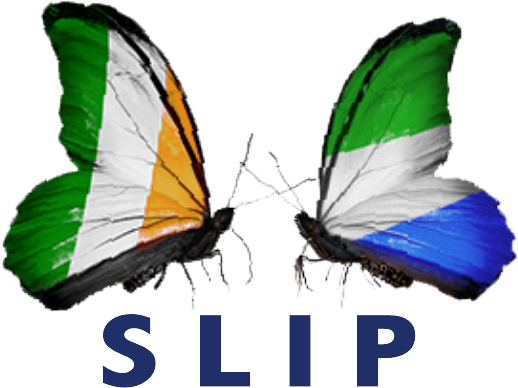 This being the inaugural event for SLIP we can can surely look forward to even more involvement next year! Next Next post: Congratulations to Liam McGlynn on completing the Makeni marathon!